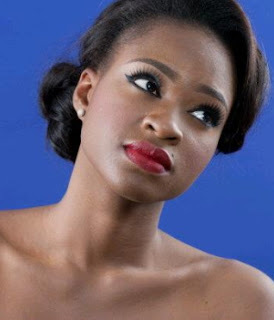 Abia State law graduate, Ezinne Akudo has been crowned Miss Nigeria 2013 winner. She emerged a winner after a tough contest that took place at the Int’l hotel in VI, Lagos on Saturday. For her title, she got N3million cash prize, a car and a fully paid trip to California. The beautiful lady beat 20 other beauty pageants to clinch the 1st position in this contest. 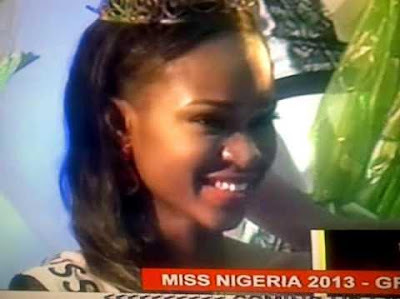 The last successful edition of Miss Nigeria beauty contest was held in year 2011 with Feyijimi Sodipo as the winner. 4 hours sleep is a small price to pay. I’m sure. u’ll get all the. sleep u need now! all Hail the QUEEN!!! 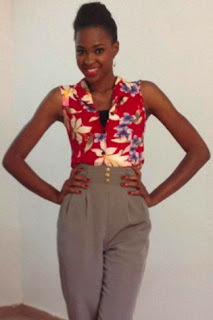 Ezinne Akudo is indeed a beauty to behold. Jealousy down she is number one. AKUDO this AKUFUNA in Barotseland / Zambia feel at home my sister, all the best. happy 4 you sis. For me she is not most beautifull gal in Nigeria,sorry, see mouth ,down lips is extralager the upper lips is good no sorry,she cant wine and things outside the country for nigeria,first around she will send back home. Most beautiful girls are not always the most beautiful. Lol! God is the giver of blessing like what you carry congrat pls remember to make the word of God a standard of your life and avoid a life of SIN you are blessed . Congrat sis u’re really pretty, u wort it. But put God first in everything u’re doing so that u’ll not make mistake. Indeed u ar beautiful congratulation, but be careful wit ur self. Wow thats a gr8 one to u lady, u have won the prize. congrats. Enjoy urself bt dnt 4get God o.
indeed u are a beautiful gal,god has made u well nd wonderful made,sokeep it up and fear god. Ezi babe,indeed u are an epitome of beauty.i’m so happy for u.may the good Lord continue to protect u.Amen.congrats! Congratulations….wishing u a fulfilled life in God and all the best! miss Ezinne Akudo you are indeed a beauty to behold, congrats! have a wonderful time in california……. hmm law faculty girls absu are really doing us proud,i remember those days of little beginning on the walkway,emergency hostel,nifes drama wing and ofcourse living word campus fellowship.nne we are behind you but pls dont forget your days of little beginning and the lord who has brought you this far.once again congrats! Sorry 2 say bt she is nt dat beautiful 2 win dat. Nw in dis country we dnt knw wat is wat, bribery nd corruption hs covered everytin bt all d same, congrats! 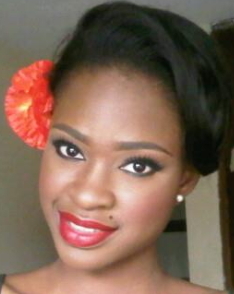 congrat, what God has done nobody can change, be happy, God has made u miss nigeria, long life miss nigeria. Indeed, you have been uplifted above your expectation(s)……congratulations to you. Such is a nice luck, bt still note: “To whom much is given, much is expect” so beware! Babe u remain d most beautiful girl in Nigeria stay bless nd fear God congrat. THANK U FOR AM NIGERIAN THOUGH NOT IN CULT.I JUST WON MISS NIGERIA AM NOW ABIA STATE.I NEED SOME HELP IN MY FINANCES.DIAMOND BANK MY EAR HAS BOIL AND MY LEG ACHE.CONFESION ONCE A YEAR.KNIGHT OF THOMAS AQUINAS OMALICHA PARISH I HAVE DONE DELIVERANCE I HAVE SERVED NIGERIA AS A HOUSEMADE.